Washington – Gun control groups, who are among the most active in the “stop Kavanaugh” movement, were helped by Sen. Chris Murphy on Thursday as they ratcheted up their opposition to President Donald Trump’s choice to fill a vacancy on the Supreme Court. The gun control groups worry that federal Judge Brett Kavanaugh, the president’s choice to fill the seat of retiring Justice Anthony Kennedy, will give the Supreme Court a majority to overturn assault weapons bans imposed by several states, including Connecticut, and also scuttle dozens of new state gun laws approved since the mass shooting in a high school in Parkland, Fla., on Valentine’s Day this year. “This is someone who will use the courts to invalidate some of the most popular gun laws in the nation,” Murphy said. There is little in the way of comments, legal writings or judicial actions that flesh out Kavanaugh’s stance on the Second Amendment. But the judge has been lambasted by gun control groups for his dissenting opinion in a case that concerned gun rights in the nation’s capital. “It is clear he has extreme and alarming views of the Second Amendment,” said Eric Tirschwell, an attorney with Everytown for Gun Safety. Richard Heller, a special police officer for the District of Columbia, filed a lawsuit in 2003 backed by the National Rifle Association challenging the constitutionality of the Firearms Control Regulations Act of 1975, which restricted D.C. residents from owning handguns. Justice Antonin Scalia wrote the majority opinion that said the handgun ban was unconstitutional. But the ruling in D.C. vs. Heller also said that the right granted by the Second Amendment “is not unlimited,” and upheld the District of Columbia’s right to impose restrictions and conditions on the sale of handguns and other weapons. Heller filed a second lawsuit against the new D.C. gun law that was approved to comply with the Supreme Court’s ruling, because it restricted the sale of rifles. The judges on the U.S. Court of Appeals for the District of Columba favored the district, two to one, but Kavanaugh dissented. 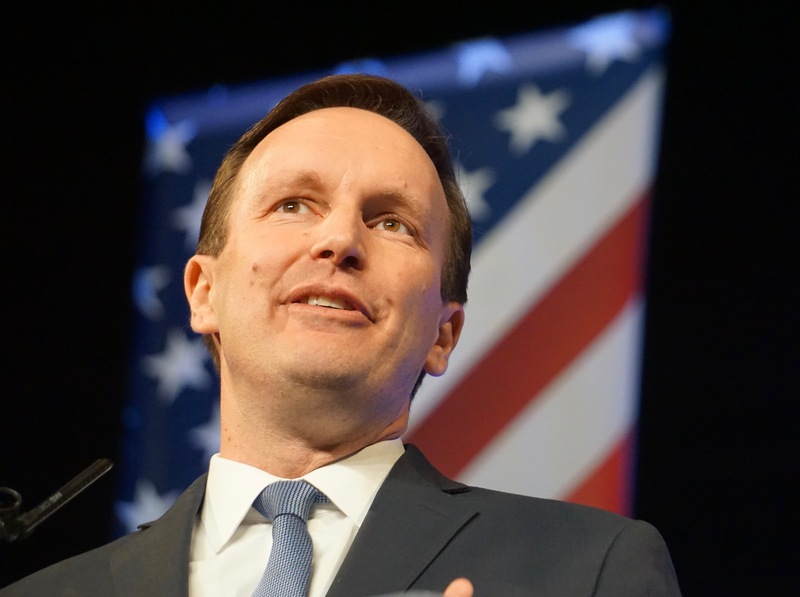 At a press conference Thursday with several gun safety groups, Murphy said the NRA has been stymied, even in a GOP-controlled Congress, in moving their agenda forward on Capitol Hill and will now look to the courts. “The NRA would get done in the courts what they couldn’t get done by legislation,” he said. The FBI is reportedly investigating whether the NRA took money from Russian interests to bolster Trump’s campaign. The stop Kavanaugh movement, which includes women’s and civil right organizations, health care advocates, and labor unions as well as gun control groups, have little chance of derailing the nomination in a Senate that has a 51-49 Republican advantage. “The lineup in the Senate looks like he will be confirmed,” said Avery Gardiner of the Brady Campaign. But Democrats are hoping to stall Kavanaugh’s confirmation hearing in the Senate Judiciary Committee and his confirmation vote in the full Senate by demanding the release of thousands of records, especially those relating to Kavanaugh’s work in the George W. Bush administration. Angry at Republicans for requesting only a portion of Kavanaugh’s records from his tenure in the Bush White House, Democratic senators this week sent a wide-ranging request to the National Archives demanding that his entire paper trail be provided to Congress. As Democrats awaited their response for greater disclosure of documents, they received good news. The National Archives said Thursday it will not be able to produce even the full cache of documents requested by Senate Republicans until the end of October. 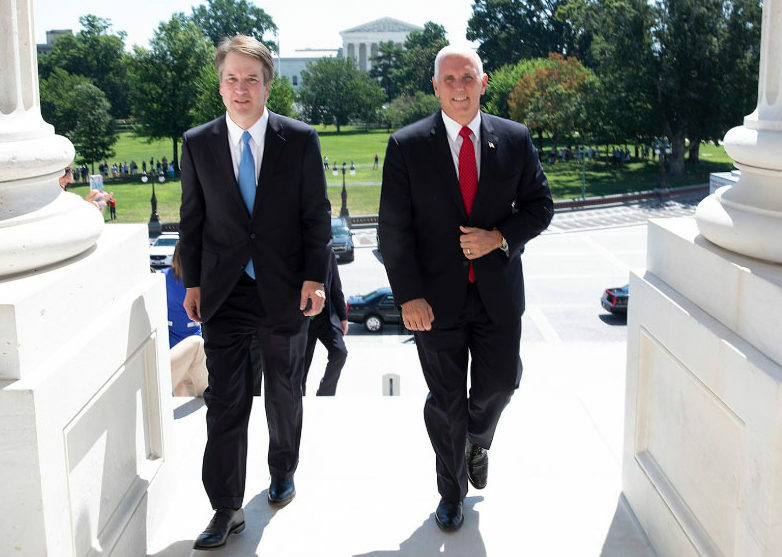 Republicans had hoped to hold Kavanagh’s confirmation hearing in September and have him confirmed before the new session of the Supreme Court starts in October. Gary Stern, the Archives’ general counsel, told Senate Judiciary Committee Chairman Charles Grassley, R-Iowa, in a letter that the records he has requested – which cover only Kavanaugh’s tenure as an associate White House counsel and not his other work for former President Bush — could total more than 900,000 pages.